Live Creating Yourself. : the everygirl + bhldn = i need something to wear! Adore the floral frock. If it is an evening event I think the left Rolando Santana piece is perfection! I'm pretty much loving the ruffle dress. And in a blush pink color? Yes! I love the second dress. It's structured, shows off your body in a classy way, and would look fab on you! IM TRYING TO COMEEE. I wanna. And when I do, I want to see you in that blush pink ruffly concoction. They are both gorgeous! How exciting, I would totally come if I still lived there! My first thought is that I LOVE the floral one, you would really stand one and make a statement. But then the ruffled one says wedding week more... Such a tough choice! Whatever you chose, please post outfit pics! 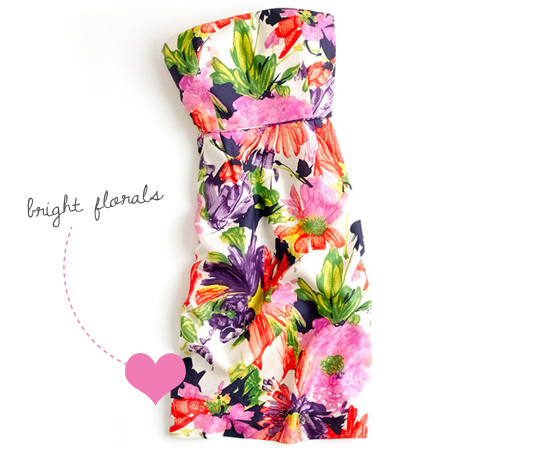 I love love LOVE bright florals for spring and summer! My vote is for one of the Rolando Santana creations...utter perfection! Wish I lived closer to Chicago, have a great time! So exciting! :) Hoping to make it. I love the flowery frock! Love the floral dress, very season appropriately and you'll make a statement for sure. Now the Santana dress is very BHLDN don't you think? Love them both, don't know what to say! 100 % the ruffe dress! ahhh bhldn - i still kinds wish i for the grey pleat dress to my wedding - being in australia it was kinda hard & i wasn't going to order it without trying on...booo! I love the J Crew floral dress! It is bright, girly and perfect for any summer occasion!